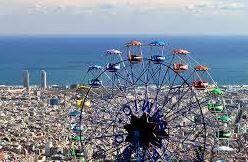 Barcelona, a real open-air museum. Thanks to the rich and varied heritage in Barcelona, there are many routes round the city. That way visitors will be able to discover everything the city has to offer. 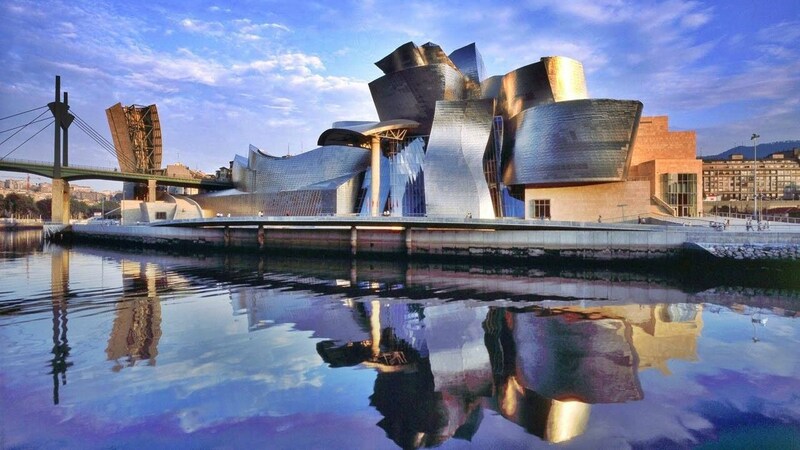 Bilbao is the heart of a metropolis where more than a million people live. It is the centre of the economic-social development and the main factor of the modernisationof the Bay of Biscay. Arrival in Bilbao. Check-in at the hotel, accommodation and dinner at the hotel. After breakfast at the hotel, a guided tour to discover the origins and changes of the city. Firstly visit its walls, the Gothic cathedral of Santiago, the Plaza Nueva, the church of San Antón, etc. 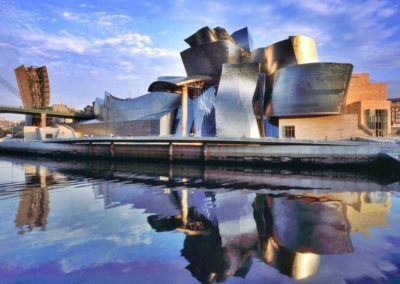 Then discover the modern architecture of the Ensanche and Abandoibarra neighborhoods, such as the surprising Guggenheim Museum. Lunch in a restaurant and rest of the day free. Dinner at the hotel and accommodation. After breakfast departure for the region of La Rioja, world famous for its wine. Visit of a winery with wine tasting and lunch near the city of Haro. Then continue to the town of Laguardia, set on a hill in the heart of La Rioja. The small fortified town, surrounded by vineyards, is wonderful. Check in, accommodation and dinner near the towns of Castejón-Tudela. 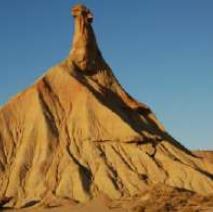 After breakfast, departure to discover the Bardenas Reales Natural Park and its wild desert landscapes. Its particularity is due to the erosion of its soils which forms an almost lunar universe, strewn with ravines, plateaus and solitary mounds. It was a source of inspiration for painters and writers, and it was also used as a base scenario for filming. 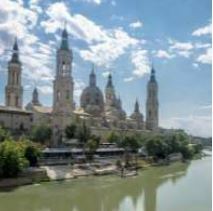 After this guided tour, departure for Zaragoza and lunch. 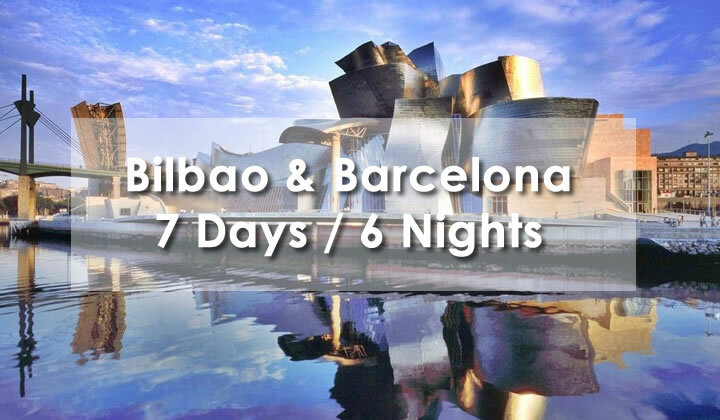 Discover the most emblematic places (exterior views) of the city such as Pilar Basilica and La Seo Cathedral. Dinner and accommodationat the hotel. After breakfast, departure for Lleida. Stop at the Parador of Lleida to enjoy a delicious meal. The Parador is located in the former convent of Roser, the origin of which dates from the seventeenth century. It is composed of two buildings and a church. Then departure for the Catalan capital, Barcelona, check-in and dinner at the hotel. 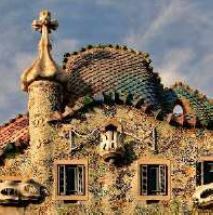 After breakfast, panoramic visit of Barcelona to discover the works of Gaudí. You walk through Passeig de Gràcia, famous avenue bordered by many modernist buildings like the Batlló or the Mila houses (external views). Lunch in the city center. Then visit the small streets of the Gothic Quarter to discover the Cathedral, the Plaza Real, the Ramblas and the Boqueria market, etc. Dinner at the hotel.